Cents of Style - Hombre Fabric Fringe Only $14.95! You are here: Home / Great Deals / Cents of Style – Hombre Fabric Fringe Only $14.95! Cents of Style – Hombre Fabric Fringe Only $14.95! 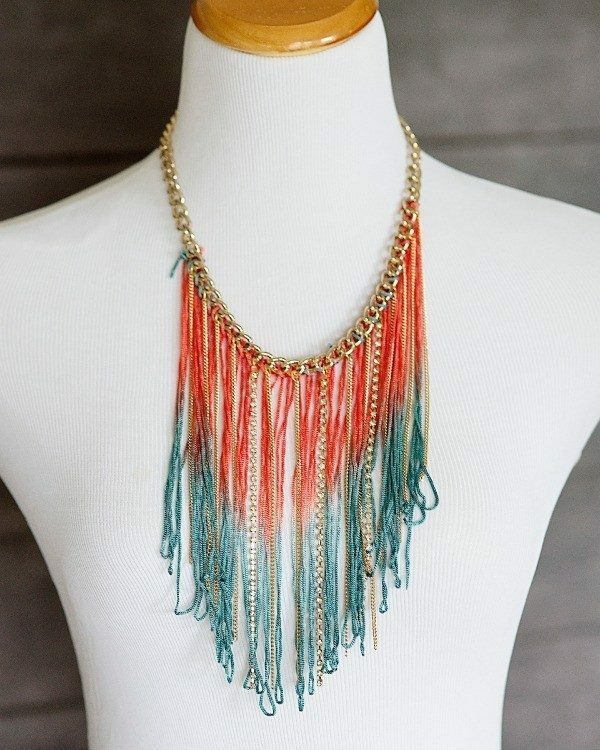 This 18″ chain necklace with hombre fabric fringe and rhinestone fringe detailing in Coral & Blue will make a terrific Spring or Summer statement! Find many other great fashions items at Cents of Style along with this Hombre Fabric Fringe for Only $14.95!